Scientists know very little about a species of stonefly that can only be found in the alpine streams of the Grand Teton Mountain Range: the Lednia tetonica. It was discovered in 2012. 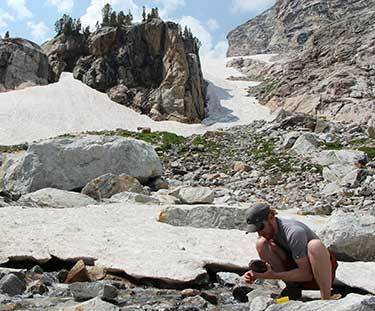 But as climate change slowly melts glaciers and threatens the aquatic insect’s habitat, researchers are trying to learn as much as they can about the species, before it disappears. On a cold morning at a Grand Teton campground, three scientists prepared to do just that by packing their bags for an expedition.